Television infomercial celebrity Billy Mays died in his sleep less than a day after he was involved in a landing incident where he was struck in the head by one or more falling objects. US Airways Flight 1241, a 737-400, departed from Philadelphia, PA just after noon on June 27, 2009 on a nonstop flight to Tampa, FL. The aircraft experienced a hard landing, which ruptured the two nose wheel tires. The aircraft remained on the runway and the 138 passengers and five crew members, none of whom at the time appeared to be seriously injured, were taken to the terminal. Billy Mays was interviewed by a reporter from WTVT television in Tampa shortly after the incident and stated that he had been hit on the head by something falling from the ceiling. Billy Mays had returned to Tampa on Saturday in order to undergo hip surgery the following Monday. According to his family, he had no other significant medical conditions at the time of his death. Tampa police reported that Mays wasn't feeling well the evening of the landing incident, and he went to bed at about 10 pm. He was found dead by his wife at about 7:45 the following morning. 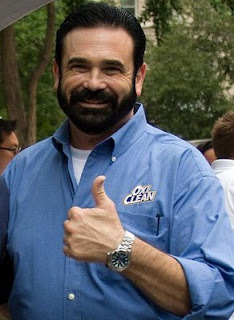 So far, a direct connection between the head strike on Billy Mays during the hard landing and his subsequent death has been neither ruled in or ruled out by local authorities. Although Mays reported that he was struck in the head, neither he or the Tampa police could confirm that he was struck by luggage. Local authorities will conduct an autopsy to determine the cause of death, and the results may be available before the end of June. If the authorities determine that Mays's death was not connected to the landing incident, then the incident will be considered minor and would likely not end up in the online incident and accident databases of the FAA or NTSB. If the death is determined to be associated with the hard landing, then this would be considered a fatal accident by the NTSB, but would not likely result in a major investigation. The most recent significant safety event for US Airways was the ditching of an A320 in the Hudson River last January. The last fatal crash for US Airways involved a regional aircraft in Charlotte, NC in January 2003. That crash killed both pilots and all 19 passengers. The most recent fatal event involving a 737-400 was a Garuda Indonesia Airways crash in 2007. Dangers from falling luggage have long been recognized by the airline industry. In 1998, the Flight Safety Foundation published the results of a study that estimated that worldwide, there were about 10,000 injuries every year involving falling baggage. The same study looked at 397 cases at a major US airline where a person was struck by falling luggage, and 30 percent of those strikes resulted in bruises or lacerations. For more information on how to protect yourself from threats from falling luggage due to hard landings and in-flight turbulence, please visit turbulence.airsafe.org. Hillsborough County Medical Examiner Vernard Adams stated that preliminary results from the autopsy of Billy Mays indicates that he had hypertensive heart disease. He also said that Mays was taking the prescription painkillers Tramadol and hydrocodone for hip pain, and that pill counts indicate that Mays had been taking the correct amount of the drugs. Initial tests showed no evidence of head trauma. Hillsborough County includes the city of Tampa.